Deion Coffman delivers a pitch during Tuesday’s game at Barbourville. Cody Goodin fires to third to try and catch a Barbourville base stealer. 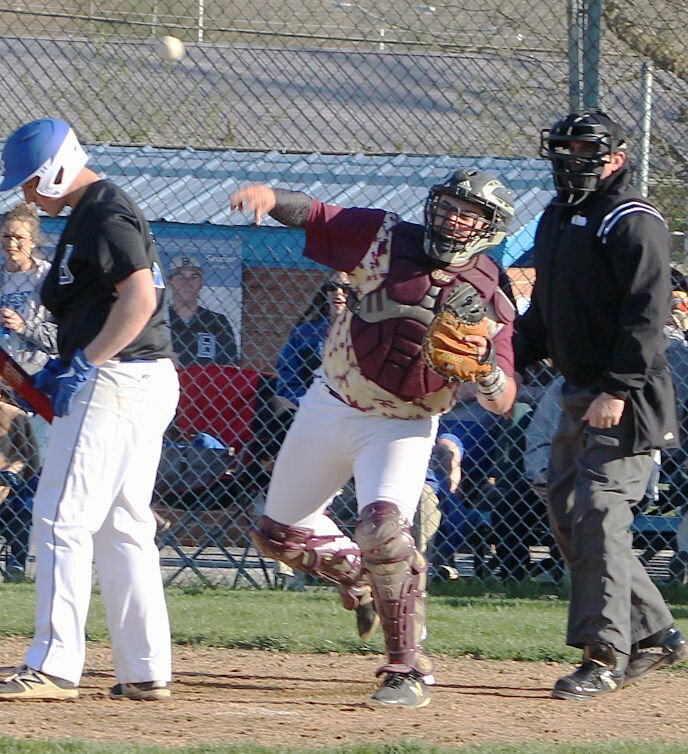 Pineville third baseman Reed Baker blocks the bag as he tries to handle a throw and tag a Barbourville baserunner. Mountain Lion second baseman Chandler Baker throws on to first after fielding a grounder during Tuesday's game. Deion Coffman takes his lead off of first after singling during Tuesday's game. Tim Gambrel smacks a base hit to right-center during Tuesday's game. The Pineville Mountain Lions lost 17-2 to the Tigers in the first round of the 13th Region All ‘A’ Tournament. Now 1-2 on the season, Pineville is scheduled to host Berea on Thursday.